1. Coating witn TIALN Can Cutting Harden materiel, 3 times Durable than Carbide. 2. has good milling and cutting performance, ensure the high efficiency of the work. 3. sufficient bending strength and wear resistance, slot milling, hole and the edge of the board, the surface is clean, neat, no glitches. 4. high strength, resistance to bending, breakage resistance, and have excellent physical properties, long tool life. 5. tool type, suitable for the needs of all aspects of the milling. Coating witn TIALN Can Cutting Harden materiel, 3 times Durable than Carbide. 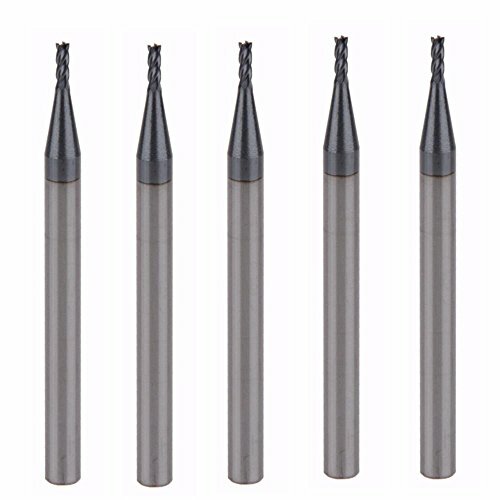 tool type, suitable for the needs of all aspects of the milling. If you have any questions about this product by HOZLY, contact us by completing and submitting the form below. If you are looking for a specif part number, please include it with your message.